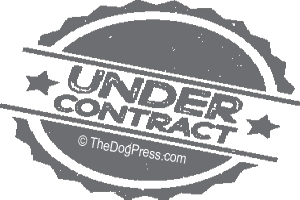 Professional groomer and dog show exhibitor hits a home run on dog show clothing, decorum, etiquette, procedure, and respect in sport of dogs today. Growing up a Navy Brat we had some pretty strict rules in our house. School rules and home rules often interchanged but there was a dress code and we were to abide by the school rules. Young ladies wore dresses or a skirt and blouse and young gentlemen wore slacks and button down shirts. Other school rules were how you speak to adults: Yes M’am, Yes Sir, no talking in class, whisper in the Library, hall passes, etc. The principle had a paddle in his office. One very distinct difference then and now was most boys carried a pocket knife and nearly every Senior had a shotgun in the truck rack during hunting season. I was taught gun safety at 10 years of age and as a military brat, I was taught the military etiquette: never argue with an MP and respect COLORS either going up or coming down. 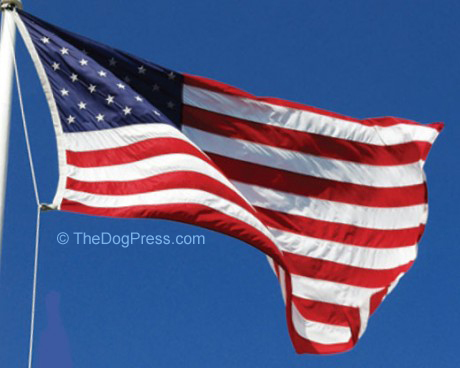 In 2019 some dog shows don't even display the flag much less play the National Anthem as was once done by all Kennel Clubs. 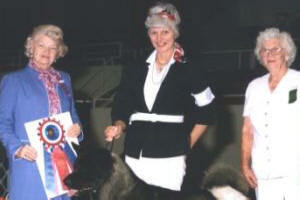 It truly saddens me, having entered the dog show world at age 19, to see the disrespect in and of our sport. There was a time we were taught dog show DECORUM: Judges wear business attire, handlers do the same. Do you remember when hand-written notes were sent thanking the judge for a major or other special wins? Often a copy of the show photo was sent to the judge. Yes, those were the days. Dress code today? Occasionally a premium list for an outdoor show will say GOLF ATTIRE. 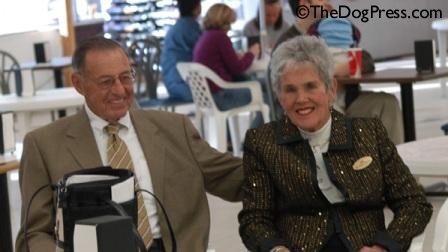 Janie and Bob Forsyth did this for their first show in Moore County NC and it is still the tradition. Golf Attire is NOT jeans and a T shirt! These are sporting events, conformation being the top of the ladder. Wearing wet clothing to dock diving and Frogg toggs to hunt events is perfectly acceptable...in those worlds. On the forums I am hearing way too much chatter about it is so expensive to show dogs (yes it is) and why do I have to spend all that money on cloths too? Why can't I just show in Jeans and a T shirt...? RESPECT for the long-standing tradition of the sport. Why are the Groups at Westminster Kennel Club formal? While true there is no exact rule, unsportsmanlike-like conduct IS addressed by AKC. Don't get me wrong, I have no problem building majors especially in breeds hard to find numbers. But let’s all be good sports about it. My mentor taught me, if you are entered and it is a major you better walk in the ring or be on your death bed! What is wrong in our society as a whole today? In the dog grooming forums there are always clients complaining about service rendered and demanding their money back. Where have they learned this attitude? In part, I blame the corporation pet stores; complain = get a refund. Same for big chain restaurants; complain get a comped meal. The loudest squeaky wheel gets bought off. In my industry (grooming), we must do everything to protect our business and reputation even if it means refusal of services and long-winded waivers for service. It has become the norm for groomers to take before, during, and after pictures of neglected dogs or cats in their care. Many groomers are even adding video clips and many shop owners are installing surveillance cameras just to protect themselves. After 50+ years in service, I very carefully hand pick my clients now. Will it come to that in the dog show world? My kennel club carefully picks judges we know and trust will do a good, honest job. Many of them are from “back in the day.” But we can’t pick exhibitors. We welcome everyone from new owners to pro handlers. Maybe we’ll come up with a little seminar on the way it was… how to behave, how to dress, how to respect your competitors, how to care for and present your dog, and to respect the judge’s opinion even if it doesn’t agree with your own. Yeah, those were the days. As seen from my side of the fence! Fast-forwarded dog shows when handlers showed for breeders? Show chair candidly covers hiring, contracts, fees, perks and gifts. 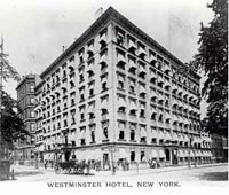 Historical Highlights of Westminster Kennel Club held in NY City.